With bright whites, clear blues, and deep black, the colored surfaces of the Solheimajokull glacier create an adventure of gorgeous sites. Trek through a landscape of ice intertwined with volcanic ash for a glacier hike of incredible scenery. 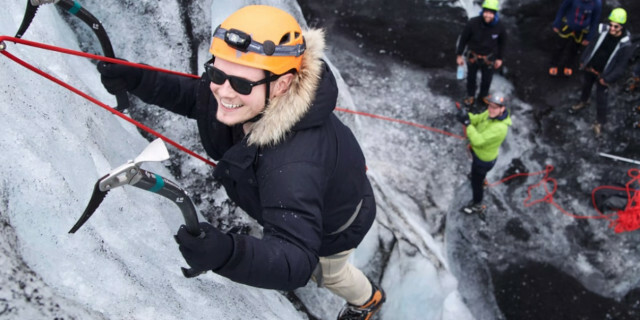 Enter a frozen lunar landscape of ice and volcanic ash for a thrilling excursion of glacier hiking and ice climbing. 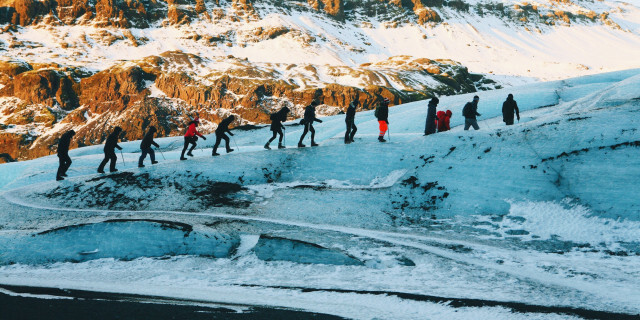 Explore the Solheimajokull glacier and for stunning views and an icy excursion. Fit a memorable glacier experience into your day with a 1.5-hour walk across an icy wonderland. 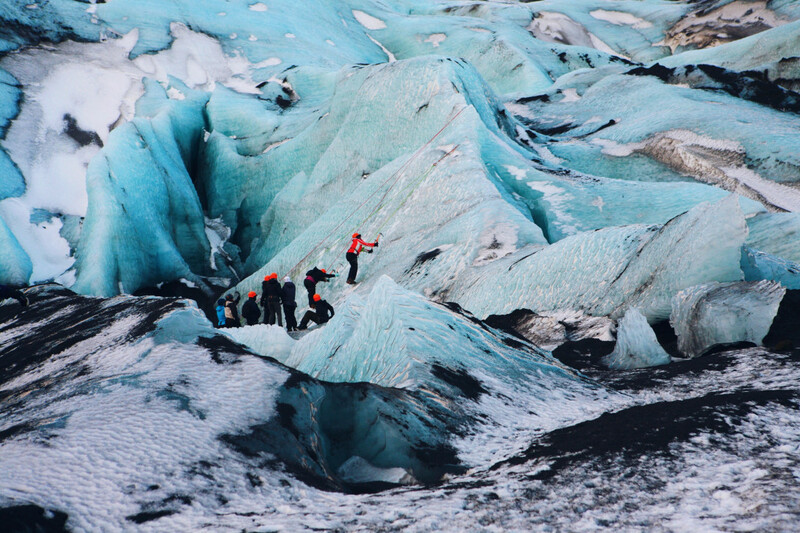 Venture across the Solheimajokull glacier and learn all you can about these giant formations. Part of the huge Myrdalsjokull glacier, the Solheimajokull is an outlet glacier in southern Iceland offering fantastic adventure. Glacier hikes and ice climbing trips make for an active day out in a frozen playground. Are you looking for more outdoor activities in Solheimajokull Glacier?